DNA test in Himachal Pradesh can be done with ease now. DDC Laboratories India has opened up collection centers all over Himachal Pradesh. You can get the test done from Shimla, Solan, Manali, Palampur, Kangra, Dharamshala, Paonta Sahib, Baddi, Bilaspur, Una, Kullu, Hamirpur, Mandi, Palampur, Kangra and Dharamshala. Our all collection centers have been set up by keeping international quality standards in mind at the same time catering to the needs of the Indian market. Our testing results are reliable and fast. We provide DNA test for Paternity DNA Test, Maternity DNA test, Ancestry DNA test, Immigration DNA test, DNA Profiling, Sibling ship DNA test, Paternal and Maternal Linage DNA Test, Grandparent-age DNA Test, Paternity Trio DNA Test and other relationship- reconstruction. Being one of the top most DNA testing centers in India, we offer nearly 100% accuracy of the test results for various purposes. For us our clients come first and we comprehend the value of these tests for you. We provide excellence in everything we do and maintain high quality standards in analysis of DNA samples to deliver you the most precise test results. 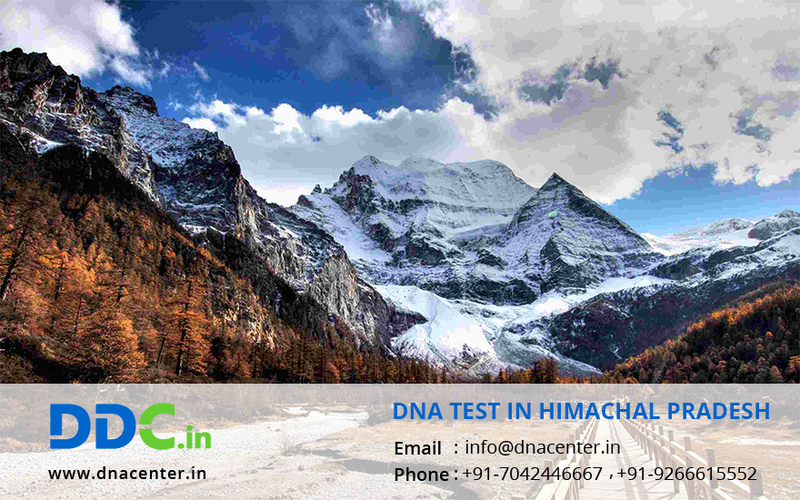 For any sort of DNA test in Himachal Pradesh please fill the below form and our executive will contact you or for any further communication, call us at +91 7533008488.